Marvel Style Cartoon Character Design Workshop will use two design software and aims to create cartoon characters via photo deformation rather than drawing. Ozan İnkaya was born in Kadıköy-Moda/İstanbul in 1966. He finished his college education in England London Uni. Advertisement department. He worked for various domestic and foreign advertisement agencies and now provides advertisement, design 3D/2D animation and web design services in his own agency Bikrifikir and provides training and consultancy services on graphics design, web design, 3D/2D animation and digital effects in fikrivizyon. He is the author of Photoshop CS5 Book. He wrote articles in his field for various magazines. He gave lectures in İstanbul Doğuş Uni., Ankara Turgut Özal Uni, SAE Academy and other education institutions. He continues to provide corporate and workshop trainings. In his workshop “Story artist and storyboard,” he will discuss the concept of “story artist,” storyboard application fields and ideal animation storyboard work with standards and practical examples. Eren Erdoğan graduated from Dumlupınar University Department of Cartoons/Animation in 2011. Student short films called Zzip and Ahau in which he took a part in, were displayed on various film festivals. He has taken part in various cartoon series and game projects especially Keloğlan, Anka: Anadolu Kartalları, Barbaros, Kuzucuk, Rafadan Tayfa aired on TRT Kid, as a Concept Designer – Storyboard Drawer and animator. He has worked on various projects in the animation studio of İpek University Department of Animation as concept designer, animator, storyboard drawer and director since 2012. He is currently an instructor at İpek University Department of Animation and continues his postgraduate study in the Graphics department of Dumlupınar University. With the workshop they will hold in our festival, they will talk about their experience in the industry regarding the production processes of animation and conceptual design. They will hold a workshop on identifying the target audience, creating a scenario, storyboard, designing the rough cut, conceptual design and infrastructure work which are some of the production processes of animation. Twin brother born in Eskişehir in 1984; Emre and Emrah Çıldır started serving the animation and comic books industry after graduating from Anadolu University Faculty of Fine Arts. They worked on many projects for TRT and its affiliated channels. 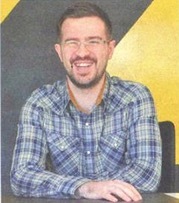 Emre Çıldır founded the Zahiri Visual Design Office in January 2015. They are currently working on “Zahiri Çocuk Kanalı” (Zahiri Kids Channel) which they are preparing for Youtube and are preparing a sequel for the character named “Orti” for Turkish Orthodontics Association.